Made from 18 note movement unit and high quality acrylic box. Hand Crank design, no battery need, the music plays as you crank the music box.You can control the speed the melody plays as you wish. 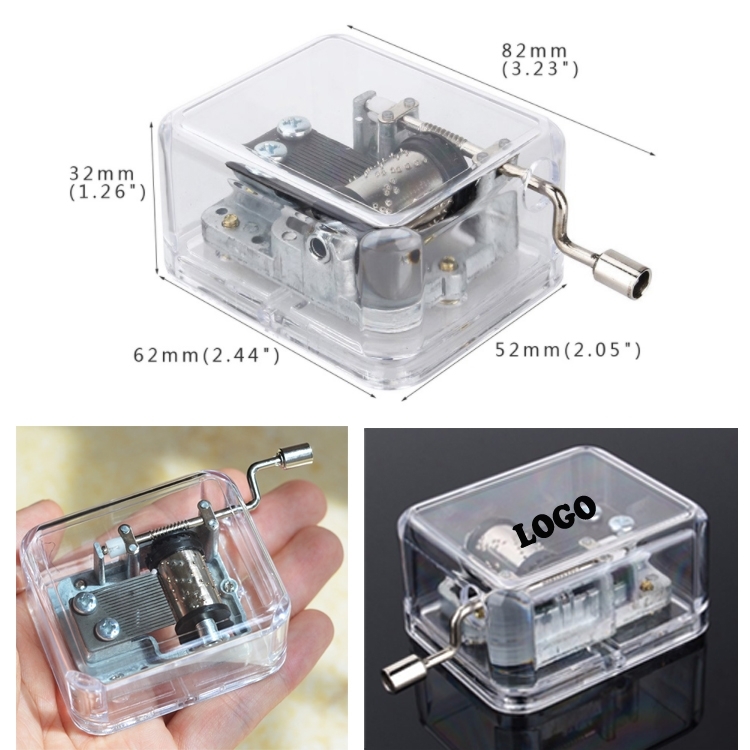 A Cute Gift for your kids your friends or yourself, hope this music box can bring you happiness and wish you enjoy a music life! Your logo can be customized. Package: 1 pc/box, 175 pcs/ctn, 23 lbs/ctn.